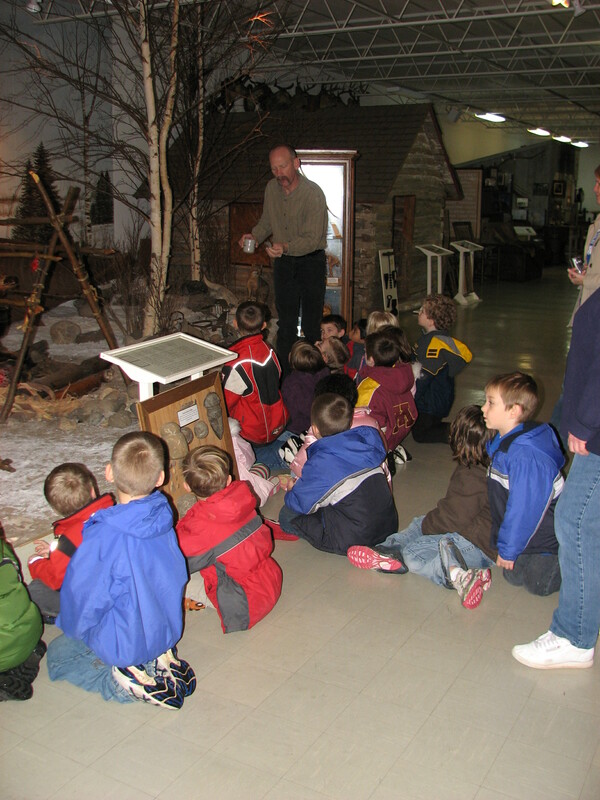 We have had the pleasure of hosting Minnewaska Area Elementary School students this week. Today we have Mrs. Hoffman’s kindergarten class and yesterday we had Mrs. Hoven’s class. They have been studying Native Americans, and came to see our model encampment and the Cleora Helbing collection of Native American Arts and Crafts. One of the kids’ favorite artifacts is the Creek turtle shell leggings. 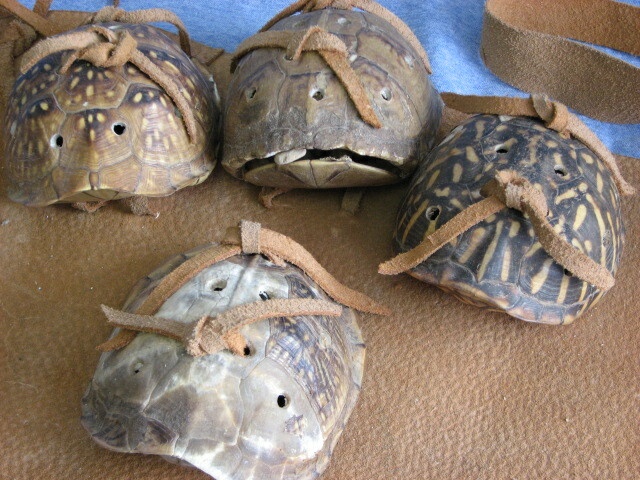 The leather straps have small turtle shells attached. The turtle shells contain small rocks that rattle when they move. They are worn by women during the “Stomp Dance” as part of the annual Green Corn Festival. The straps are tied to the legs of the dancers to make music. The kids like the idea of wearing an instrument while dancing, and also think that baby turtle shells are cool. Thanks for coming kids! Come back and see us soon! This entry was posted in Collection Notes, Visitors and tagged Cleora Helbing, Creek, Green Corn Festival, Kindergarten, Minnewaska Area Elementary School, museum collection, Native American, Stomp Dance, Turtle Shell Legging, turtle shell shackles, turtle shell shakers. Bookmark the permalink.